The good old Yorkshire Outdoors, you just can’t beat it. 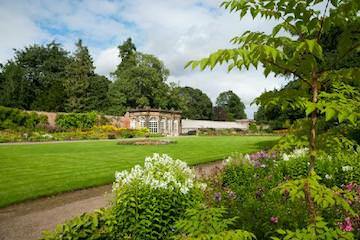 It’s beautiful, wild and right on the doorstep of the most historic towns. However, with a young family, it can be a little harder to find the best areas that will accommodate everyones needs, especially with little legs and attention spans. And so I thought I’d tell you a little about our top favourite places to save you the trial and error! When we originally set up Live For Today we always had a vision to put the kids market first, deliver the best birthday parties and activity days to get them excited about the great outdoors. Numerous parties later and we are achieving our goal, so many kids now know the difference between kindling and tinder and how to navigate from one place to another using only a compass and map. Being a dad of 2, I want to make sure my kids get outdoors as much as possible and although our one year old does also know how to work an iPad, he is still so curious about muddy puddles, broken sticks and generally running around in the places he’s not usually allowed to go. Erin on the other hand is turning 6 this year and she is getting more and more adventurous every day, it’s always a perk to come to daddys work and swing from the tree’s - literally! SO - what else can you do to encourage the kids to get outside and active? Harrogate is a beautiful town but there still isn’t enough for the kids and families to do together. I wanted to write this blog more to share (from our own experience) where is best to go if you want to have a good day out. Give your little one a week to remember. 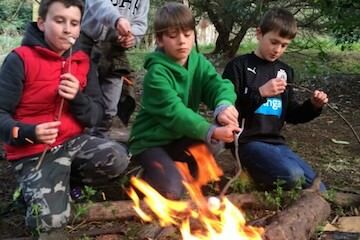 Lighting Fires, Climbing Tree's, Building Dens and Body Zorbing. We have the lot as part of our School Holiday Camps. We have even increased the fun further this year by including Dart Football and our brand new and mysterious Escape Rooms. I debated putting this one into my blog (being competition and all) but actually do you know what, it’s too good to leave out. I used to work there before setting up Live For Today and I see what passion and standards these guys give to their kids sessions, tasters and parties. 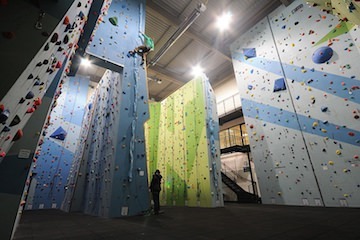 The centre has a variety of different climbs and if you’re looking to get your kids into a climbing club then this is the place to go, it’s a league above any other walls I’ve visited and also has a great cafe (Indulge) onsite. Moving on perfectly from above is then to get the kids into the actual outdoors, get them to experience real rock, feel the grit between their fingers. 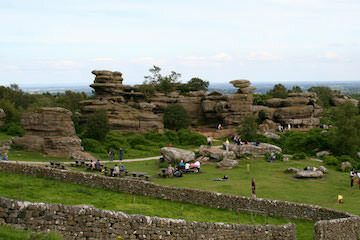 If you haven’t been to Brimham before then you are missing out, it’s the perfect place to get lost (literally) and explore all the incredible rock formations around…there is also a rock called the dancing bear. 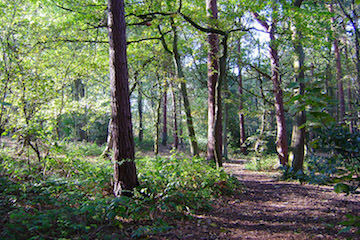 Parking is cheap and free to National Trust Members. I’m not being biased because our office is based here but if you’ve never been into Ripley gardens then you’re missing out. Perfect on a summers day and you will be amazed at the views on offer. Wonder around the lakes, through the secret culinary gardens and finishing off by exiting through the woods onto the big lawned area where there is giant connect 4, jenga etc for the kids to play. We like to do family cycles along the new cycle path which connects directly in from Harrogate, it’s pretty level all the way so the kids can do it and then we reward them with the famous Ripley Ice cream at the end. I love winkies, it’s based in Starbeck and probably doesn’t get a look in as much with the likes of Kidzplay etc but Winkies is a really enjoyable soft play centre. It just has a really good feel about the place, mainly because it’s split into 2 sections. 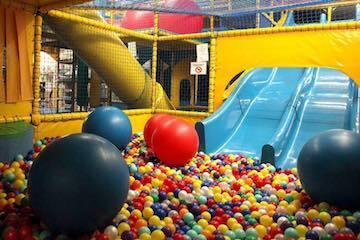 One is the slides, ball pools etc an the other side is a pre-build kitchen/house and sensory area. It suits both my kids and I can kind of chill in the middle and go to both areas…winner! Being a knaresborough lad Mother Shiptons is a regular spot for us but I had the privilege of meeting the new owner last year who is improving the area massively. It now has a new play park and regularly runs different themed events such as ‘Peter Rabbits Easter Adventure’ ‘Robin Hood Summer Holidays’ etc etc. 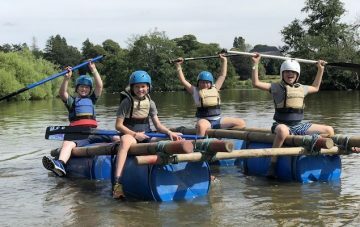 It’s not only about offering what we think are the best kids parties in Harrogate and soon to be the best summer camps, but we also do really good family days out. We have so many families join us to do a joint Archery Sessions or get lost on our cryptic chase and the feedback is always 5 stars. 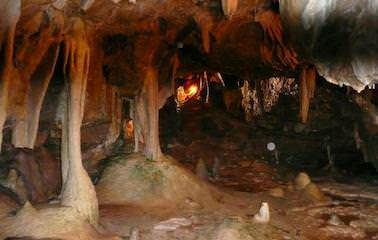 Boasting more history than we could ever dream of are these million year old caverns. A little bit more of a drive away from Harrogate but an amazing place for the kids to see. 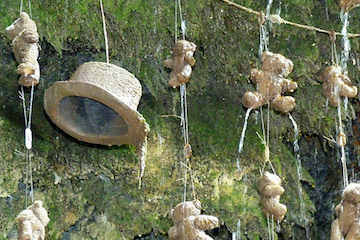 Get them into Caving early and teach them the difference between a Stalagmite and Stalactite. You never know in the future they might join us on one of our real caving adventures. Good old Billy Bobs, such a treat for our kids. I won’t lie, usually it’s so busy but at the time so much fun. There are rope swings, barn slides and tractors for the kids to play on. 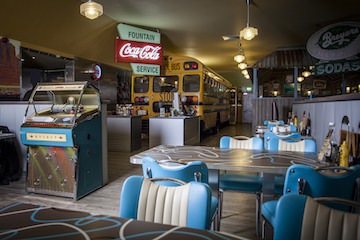 There is also a proper American Themed Diner which does the absolute best chocolate milkshakes…oh and hot dogs. Prices are pretty reasonable and 100% worth it, a must is to do the slide as one big family and see who is first to the bottom. I’m gonna finish with a freebie and the one we probably do the most, wander up and down the pine woods. We walk from the top of Valley Gardens and make it to Betty’s at Harlow Carr for a takeaway Hot Chocolate. Ok there are a few shoulder rides along the way but there is nothing better than pointing out the different tree’s and birds that keep flying past, also the shop at Harlow Carr has to be the the most incredible gift shop, selling all the cool toys we were used to as kids. So there you go, a few things I personally think help to get the kids outdoors in and around the Harrogate Area, I hope you enjoyed reading it. Hopefully there will be more popping up in the near future.